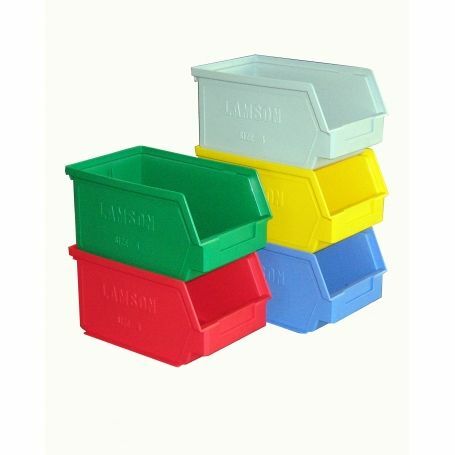 These multi coloured polypropylene plastic bins can be fitted to the louvred board or the mounting rail. They wlll also free stand and stack. Central dividers can be fitted allowing two compartments in each box. Organise your garage, laundry, garden shed or office. A great space saving storage system with a long New Zealand history.